For other uses, see Izsák. Izsák is a town in Bács-Kiskun county, Hungary. 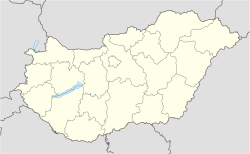 ^ Gazetteer of Hungary, 1 January 2015. Hungarian Central Statistical Office. Wikimedia Commons has media related to Izsák. This page was last edited on 24 February 2019, at 01:43 (UTC).